Attorney Matthew A. Viana holds undergraduate degrees in sociology and criminal justice. He received his juris doctor degree from the University of Massachusetts School of Law, where he was a Public Interest Law Fellow and received the St. Thomas More Award. While attending law school, Attorney Viana served as a Staff Editor for the School’s Law Review, was Research Assistant to Professor Dwight G. Duncan, and worked as a legal intern for the City of New Bedford. In 2013, he was recognized by the Massachusetts Supreme Judicial Court for the provision of significant pro bono legal services. 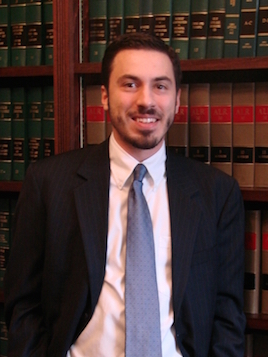 During his last year of law school, Attorney Viana was a law clerk for the Law Offices of Beauregard, Burke & Franco. He joined the Law Offices of Beauregard, Burke & Franco as an associate in 2015. Attorney Viana is licensed to practice in the state courts of Massachusetts. He represents clients in all aspects of civil litigation, including municipal, employment, business, and contract law.